Kay Francis–between magazines, newspapers, and other trade journals–appeared in literally thousands and thousands of publications. It would be impossible to gather all of the information ever printed regarding her and her spectacular career. What this feature provides is an educational resource for fans and researchers the opportunity to view some of the articles and printed press regarding her life and career. The information and articles here come from free online databases, which are online available for public viewing (I have provided links to the individual databases for each of the papers, respectively). Information here is mostly transcripts from articles. If an entire article about Kay was written, I will gather it here for fans to read. Articles which are in-depth about a particular subject, but make reference to Kay, are paraphrased with the information pertaining specifically to Kay Francis, and a summary of the article will be written up by me. August 11, 1932. “A Dash of Vidor Now Appears at All Studios.” By George Shaffer. December 20, 1934. “Kay Francis, Dietrich Visit Chevalier Set!” By George Shaffer. July 3, 1935. “Through the Looking Glass.” By Eleanor Nangle. January 5, 1938. “Looking at Hollywood.” By Ed Sullivan. August 17, 1939. “Looking at Hollywood.” By Ed Sullivan. September 17, 1939. “Kay Francis–The Girl Who Made A Scolding Pay” by Ed Sullivan. November 2, 1939. “Tricks With Makeup Help Small Eyes.” By Antoinette Donnelly. May 19, 1940. 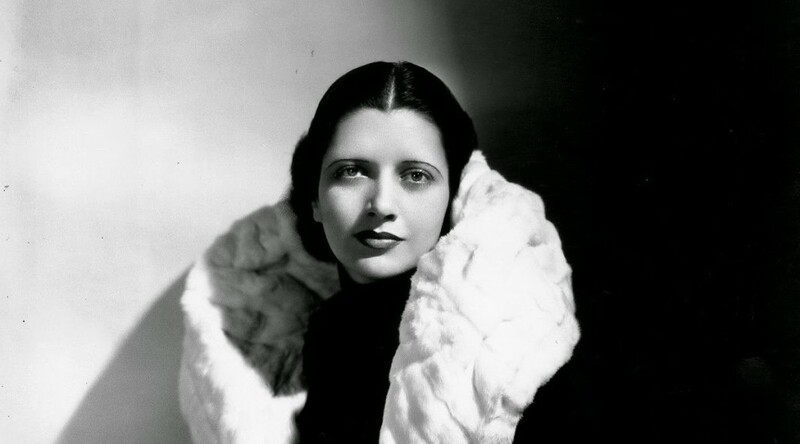 “Kay Francis, Comeback Queen.” By Ed Sullivan. July 4, 1943. “Silver Theater Returns Today with Kay Francis.” Staff writer. January 24, 1948. [Front Page] “Kay Francis Ill; Mystery Veils Hotel Doings.” Staff writer. March 4, 1950. “Looking at Hollywood.” By Hedda Hopper. January 13 1931. 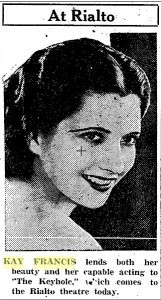 KAY FRANCIS TO WED. By staff writer. February 22, 1931. Announcement for Scandal Sheet. October 7, 1931. Announcement for Guilty Hands. March 10, 1932. Announcement for The False Madonna. April 2, 1933. Announcement for The Keyhole. February 4 1934. KAY FRANCIS SEEKS DIVORCE. By staff writer. April 9, 1936. Announcement for I Found Stella Parish. October 18, 1936. Announcement for Give Me Your Heart. December 25 1937. KAY FRANCIS ‘TOVARICH’ SUIT SETTLED. By staff writer. May 5, 1938. GARBO , HEPBURN , OTHER STARS HAVE LOST APPEAL, AD SAYS. September 9, 1938. ADOPTS BY PROXY. By staff writer. June 12, 1941. Announcement for Little Men. January 24, 1948. KAY FRANCIS ILL; MANAGER FREED. By staff writer. November 10, 1934. Ask Kay Francis–she knows! May 23, 1964. Nifty Nighties. April 9, 1942. THE SAGE SAYS. October 1939. KAY FRANCIS LIVES HERE. November 1930. “Lucky Thirteen.” By Herbert Cruikshank. January 1935. “Remedy for Heartbreak.” By Katharine Hartley. April 1935. “8 Most Fascinating People.” By Kay Francis. July 1935. “It’s Thrilling to be an Actress.” By Faith Service. July 1935. “If I Were Poor.” By Julie Lang Hunt. February 1939. “Is Stardom Worth It?” By Malcolm Oettinger. November 23, 1933. PROMOTES PRIZES FOR BEST LOVE LETTERS. October 1929. “Vamping with Sound: Regarding Kay Francis, First Menace of the Talkies.” By Leonard Hall. October 1932. “Just Three Years.” By Leonard Hall. June 1933. “Just Love and Live.” by Virginia Maxwell. March 1939. “I Can’t Wait to Be Forgotten.” By S.R. Mook. November 1930. “Oklahoma Defies Broadway.” By Margaret Reid. March 1934. “What Hollywood Has Given Me.” By Dorothy Woolridge. March 1937. “Its Never Been Told.” By Sidney Riley. December 1937. “No Ordinary Actress.” By Dorothy Brooks Holcombe. June 25, 1938. “Kay Francis Fights for Her Glamour.” By Norman Payne. July 1932. “Read the Love Secrets of Kay Francis!” By Grace Simpson. August 1934. “Kay and Bill Talk About Each Other.” By Maude Cheatham. January 1936. “I Found Kay Francis!” by Margaret Angus. September 1938. “Are These Stars Really Doomed?” By Elizabeth Wilson. February 1931. “A Bad Girl Makes Good.” By Radie Harris. January 1934. “Kay Francis ‘as ‘eard the East a’callin’.” By Patricia Keats. May 1934. Fan Mail Department. December 1938. “Three Flops and You’re Out!” By Laurence Morgan. January 1939. “Movie Plots Come Home to Roost!” By Ed Sullivan. “‘THE U.S.O. Camp Shows help I. to bring a touch of America to the boys away from home. Unless you’ve been where our men are fighting you can’t imagine how much good these shows do for the men who are fighting for us,” says Kay Francis. What you give to your local Community War Fund for that National War Fund campaign is the sole support of the U.S.O. and other worthy causes. We can’t let them down now. Won’t you make your contribution the year a big one? HOLLYWOOD (UPI) -Nightgowns seen in “A House Is Not A Home” were taken from Paramount Studio’s wardrobe department and were once worn by Carole Lombard, Gloria Swanson, Kay Francis, Grace Kelly and Clara Bow. Many of the ladies make cakes and sandwiches and very fine ice cream. Such film stars as Myrna Loy, Kay Francis, Luella Parsons, Constance Bennett and many others spend long hours with us as shipmates, in fact without any thought of publicity, and I certainly think all American citizens should know of the kindness and thoughtfulness of these patriotic ladies. THREE FLOPS & YOU’RE OUT by Laurence Morgan. If Kay Francis had been kept in Grade A pictures instead of “B’s” perhaps the Baronetcy would not have seemed so attractive. MOVIE PLOTS COME HOME TO ROOST! by Ed Sullivan. 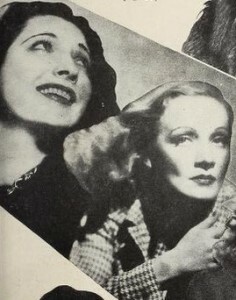 Into the shadows of obscurity go Simone Simon, Arleen Whalen, Marlene Dietrich, and Kay Francis. Kay has not failed. Other studios want her, but a baron begging for a wife has won her.